BabyDash is essentially a site that sells baby necessities online. After running for about 5 years, they’ve decided to test out equity crowdfunding (ECF) for their next round of funding. Through the ECF platform, pitchIN, BabyDash had set a minimum funding target of RM200,000 and they managed to achieve this amount in less than a week. The company broke an ECF record by having 131 investors, which is double the amount held by the previous record holder, Kakitangan.com, back in September 2016 when they had 63 investors. 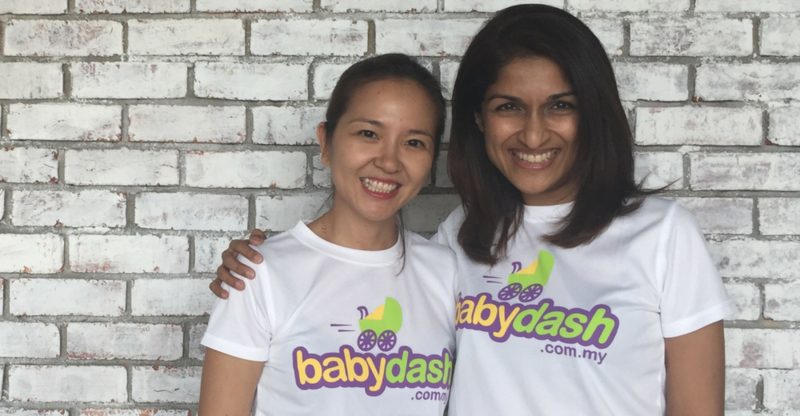 In total, BabyDash managed to raise RM1,574,400 million on the pitchIN Equity crowdfunding platform with their campaign running over 45 days. The final 10 days was when the campaign saw a surge of interest with the final amount coming to its record level on the final day. The company has been steadily gaining traction from the start by breaking even within their first year of launch. Since then, their growth has been quite consistent for five years running until they grew into RM2.5 million revenue company. Vulcan Post reached out to Lavinie Thiruchelvam, the CEO of BabyDash to gather some of her thoughts. With the final amount, BabyDash managed to reach 787.2% above their minimum funding target on pitchIN ECF. One of the reasons Lavinie believed this was possible was because of how their investors mainly consisted of their target audience. “Most of the time, you buy from baby markets but you don’t actually own a share. This is an excellent way for parents to be a part of our growth rather than going to VCs or big investors in general,” said Lavinie to Vulcan Post. After being self-funded since their launch in 2011 with the aid of her co-founder, Tay Shan Li, they secured RM500,000 (US$115,000) seed funding from undisclosed investors in November 2015 that was used to grow its team. With this funding, Lavinie shared that it will be used on 2 main areas. “Firstly would be marketing, because we haven’t done much before but now it’s time to scale up and create more brand awareness. Secondly is to grow our product category. In fact, in the next 3 to 4 months, we’re looking to add on a 100g in each category which is a lot,” said Lavinie. She stated that from there on, they plan to add more. BabyDash already lists an extensive range of baby products and can be seen as a one-stop shop but within their many categories, there’re still many more brands to be added on for it to become truly huge. “We are especially grateful that many of our regular customers have taken the opportunity to become our investors. They will now be able to profit from our future growth. We will do our very best to repay the trust of our investors,” thanked Lavinie. This is yet another success for ECF platform, pitchIN as Sam Shafie, the CEO, saw this as further proof that the Malaysian equity crowdfunding industry is on a strong upward trend. Congratulations to Lavinie, Shan Li and BabyDash!